Warning: Do not watch this if you just ate a hot dog. Or any food for that matter. Also warning: hot dogs are gross. I guess we have come a long way since the days when Upton Sinclair detailed the Chicago meatpacking industry's practice of grinding rodents into sausages, but that's a pretty low bar, no? A new video from the Discovery Channel reveals what goes into making hot dogs. Thankfully it doesn't involve any ground up rate, but even though the video doesn't reveal anything about the process that would be a health hazard, it's still really gross. Like, really gross. Like, a-vat-of-ground-up-meat gross. Like, meat-puréed-into-goopey-sludge gross. And the part where they have like a jet of corn syrup shooting down? EEEEWW! It's also a little shocking just how many hot dogs this factory can turn out, too. 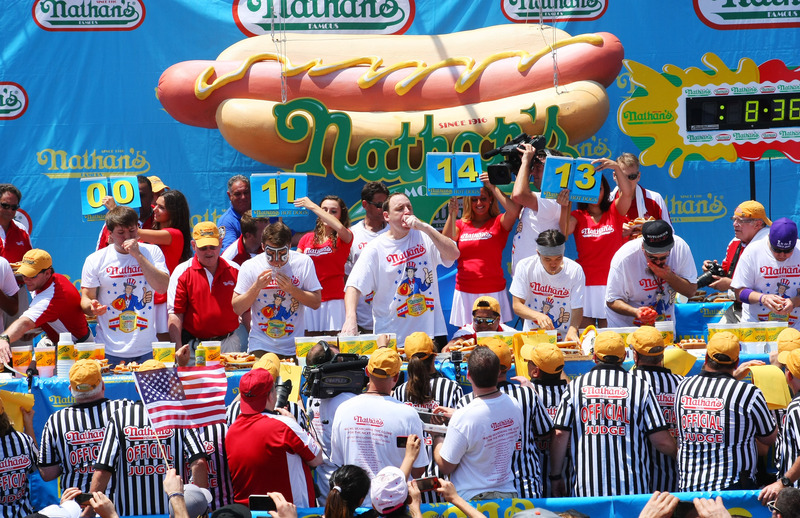 The factory featured in this video can produce 2.5 million hotdogs in one shift. That is, quite simply, insane. I suppose, though, that I shouldn't be surprised. This is what industrial meat processing looks like. It's, well, processing, on an industrial scale. Giant vats of ground up meat and everything operating at lightning speed. That doesn't make it any less surreal, though, that something we think of as ordinary, like a simple hot dog, is actually the result of absolutely bizarre, unnatural process that involves dumping bags full of salt into a churning vat of ground up pork and beef. I just hope that Hebrew National hotdogs are made differently, being kosher and all. Maybe? Please?